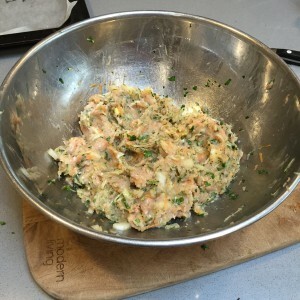 Note – I have now tweaked this recipe, if you have made them before you will now see some new ingredients listed! I was introduced to this sausage roll recipe by my Mum a few years ago now. Having always been a little suspicious of the supermarket rolls of “sausage mince” she decided to switch to chicken mince and the end result was good! They are quick and easy to make, perfect for dinner or parties and the best thing is the kids love them which is a huge tick in any household! 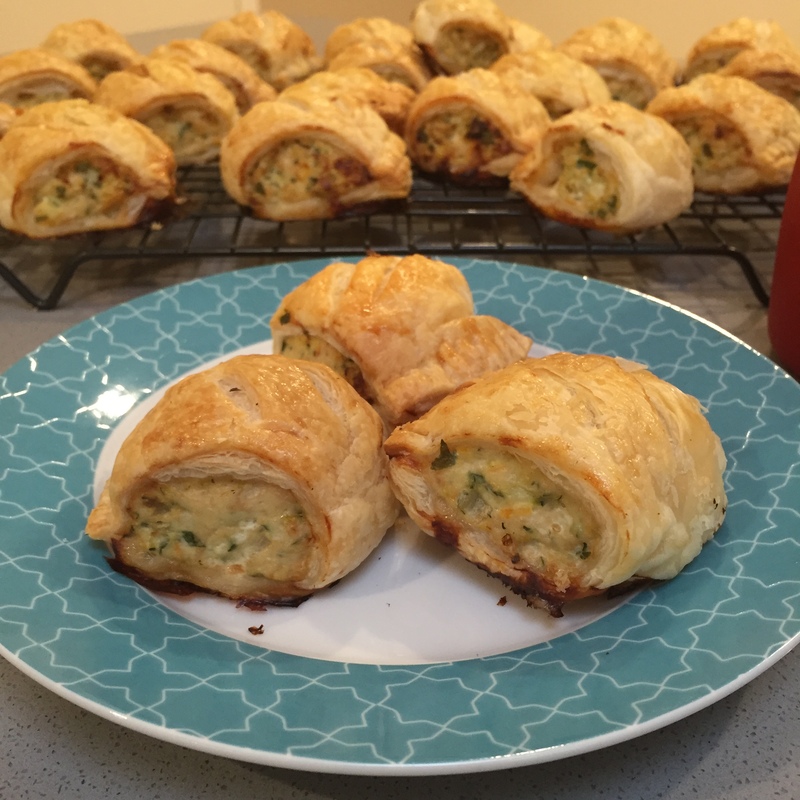 Make these and I promise, you will never buy store bought sausage rolls again! 1. Turn the oven to 200 degrees Celsius. 2. Line 2 large baking trays with baking paper and set aside. 3. 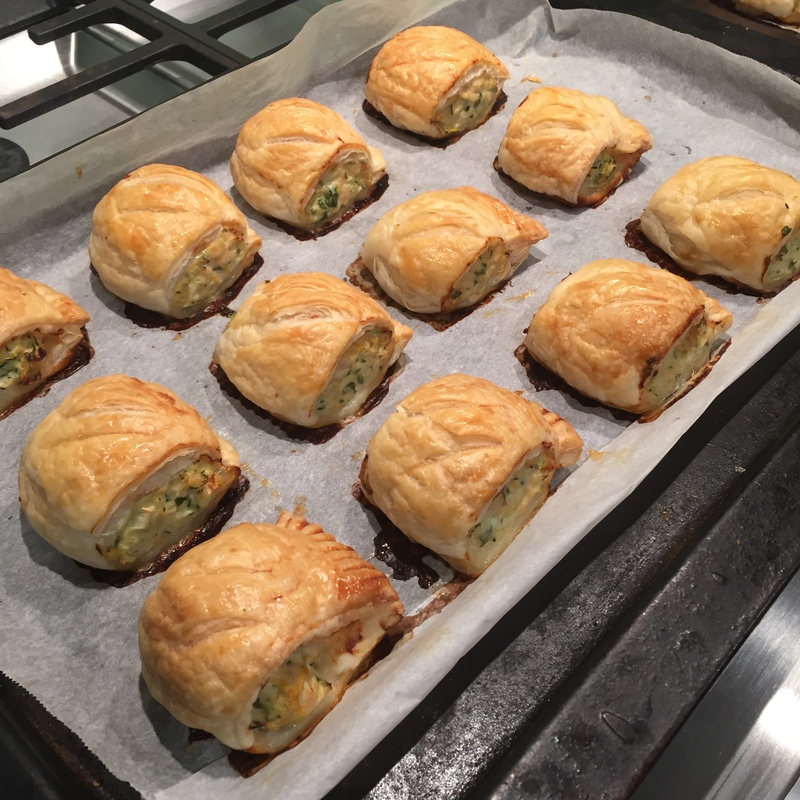 Remove the PUFF PASTRY from the freezer, separate the sheets, cover with a tea towel and leave aside to start to defrost. 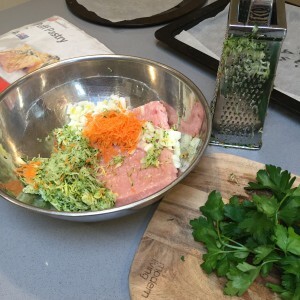 *note – you can substitute the dried herbs for fresh chopped continental parsley. 6. 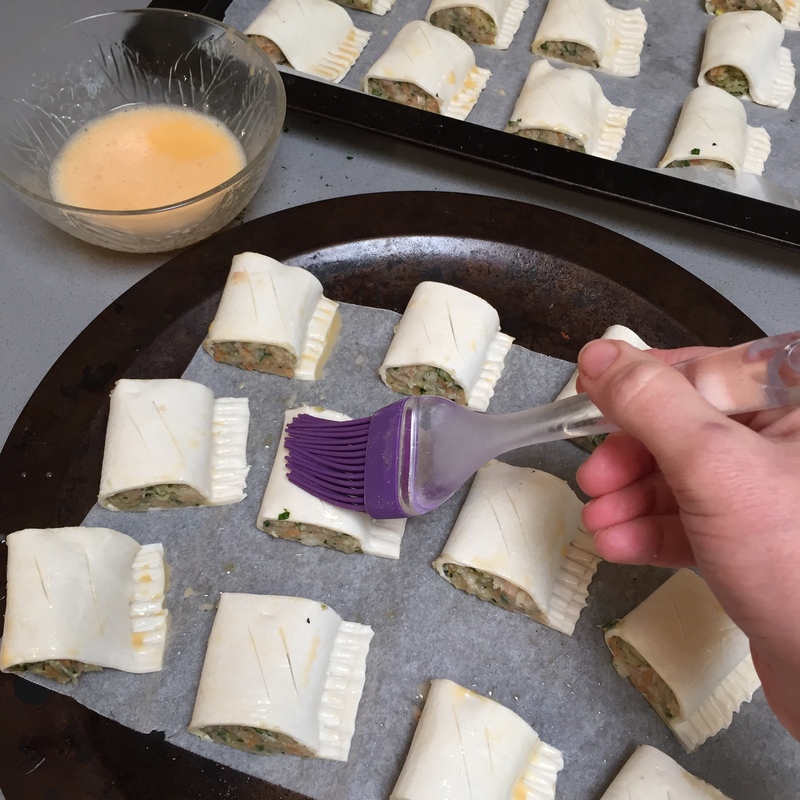 Once all the ingredients are combined, give your hands a thorough wash and move onto preparing the pastry. 7. Take a sheet of PASTRY and cut straight down the middle with a sharp knife. 8. 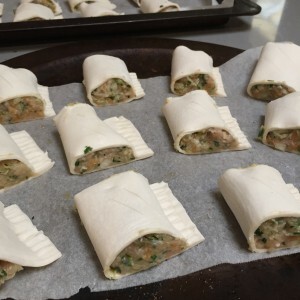 Using a spoon, place a sausage thickness worth of mince down the centre of the pastry, careful not to put too much and making sure you go all the way to the ends. It may take a couple of practices to get this right but you’ll start to get a feel for it after a couple of turns. 9. 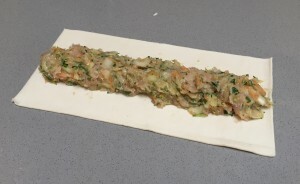 Pull the sides of the pastry up over the mince and lightly press together. 10. Flip the edge over onto its side and gently give the mince a little tap all the way down to flatten slightly. Next, with a fork, gently press all the way down the seal to make sure the pasty is enclosed properly. 13. Repeat the process with the remaining pastry until you have used up all of the mince. 15. Place into the oven and cook for approximately 15-20mins or until the tops and bottoms turn golden brown. 16. Pop onto a wire baking rack to cool slightly then dig in and enjoy! These freeze like a dream! Just complete all of the steps up to step 12 then layer the uncooked sausage rolls between baking paper in an air tight container before freezing for up to 3 months. Experiment and substitute! Don’t have any zucchini? Just omit it! Need to use up some red capsicum? Thow it in! 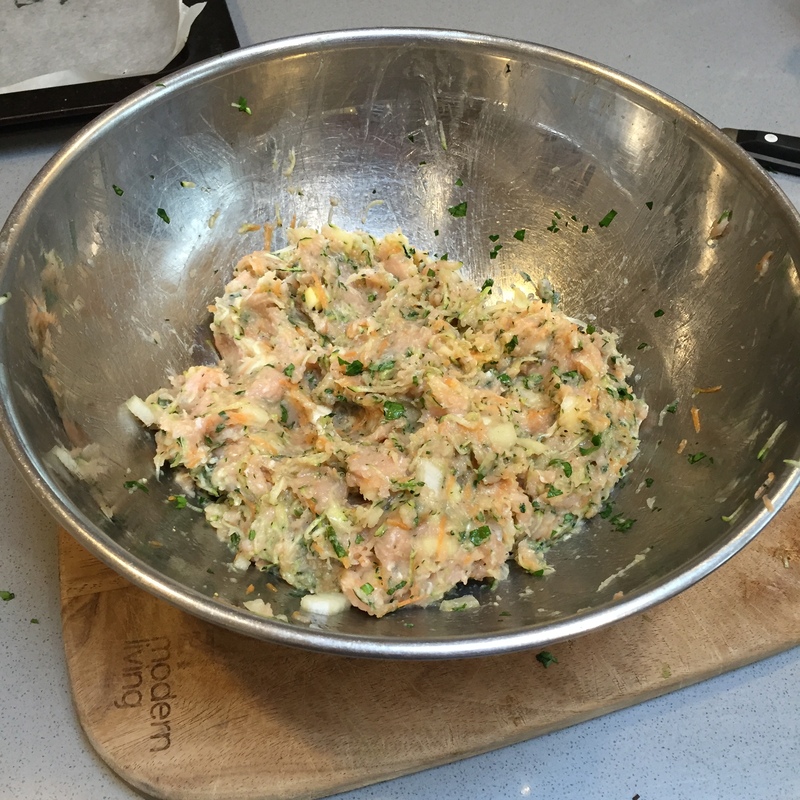 This recipe is totally adaptable, things I have added throughout the years include a squeeze of HP or Wooster sauce, capsicum, minced garlic, different herbs…what ever tickles your fancy! 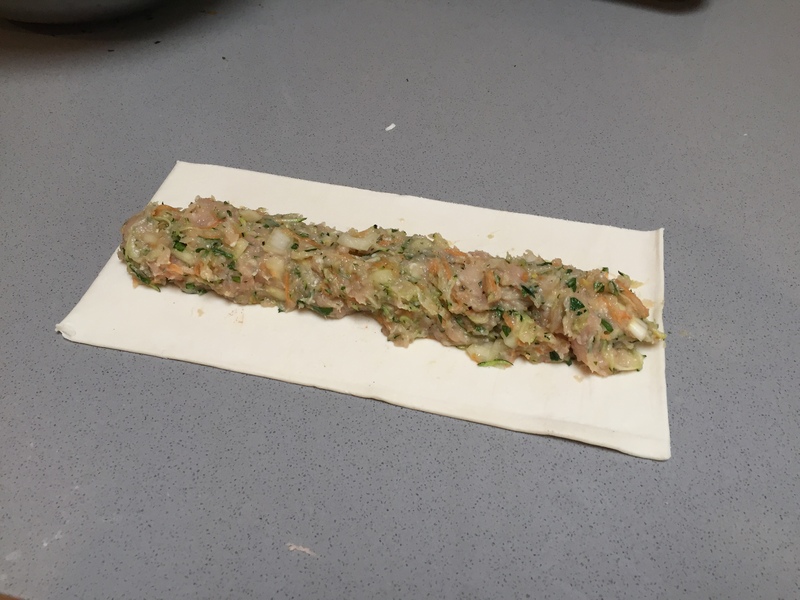 For a different taste, substitute the chicken mince for pork mince and a tablespoon of crushed fennel seeds! Yum! KHXvhE This awesome blog is without a doubt entertaining as well as informative. I have chosen helluva interesting stuff out of this amazing blog. I ad love to visit it again and again. Thanks!